Definition at line 18 of file MethodData.h. Definition at line 23 of file MethodData.h. References dump(), match(), operator=(), parse(), and ~ACLMethodData(). Definition at line 19 of file MethodData.cc. Definition at line 24 of file MethodData.cc. Definition at line 67 of file MethodData.cc. References ACLMethodData(), assert, and values. Definition at line 44 of file MethodData.cc. Definition at line 30 of file MethodData.h. Definition at line 30 of file MethodData.cc. Definition at line 55 of file MethodData.cc. References HttpRequestMethod::HttpRequestMethodXXX(), Http::METHOD_PURGE, ConfigParser::strtokFile(), ThePurgeCount, and values. Definition at line 25 of file Data.h. Definition at line 35 of file MethodData.h. 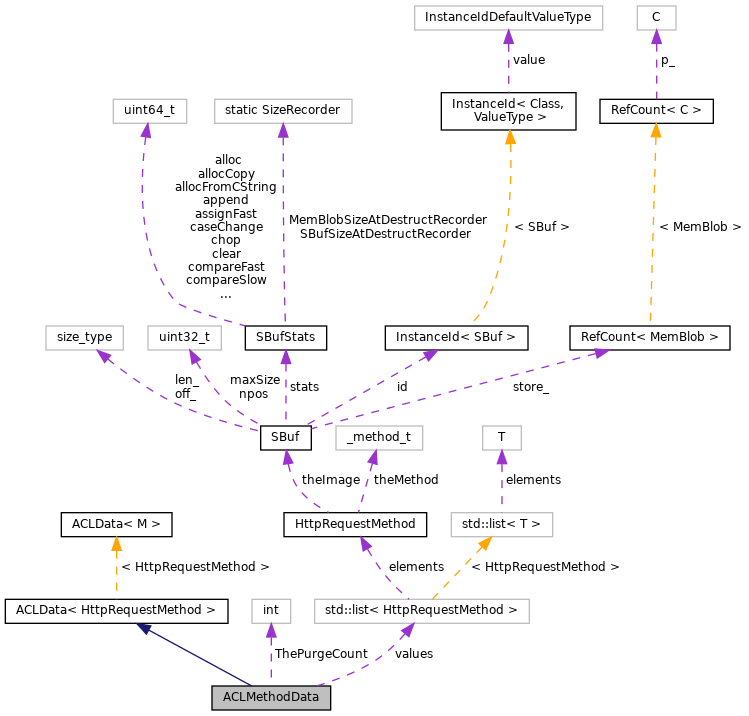 Referenced by configDoConfigure(), parse(), and parseConfigFileOrThrow(). Definition at line 33 of file MethodData.h. 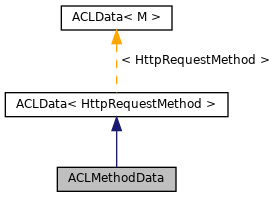 Referenced by ACLMethodData(), clone(), dump(), empty(), match(), parse(), and ~ACLMethodData().